Stretchy and snug as a second skin for outstanding agility. 100% Polartec Power Stretch construction with four-way stretch and elastic fibers that bounce back every time. 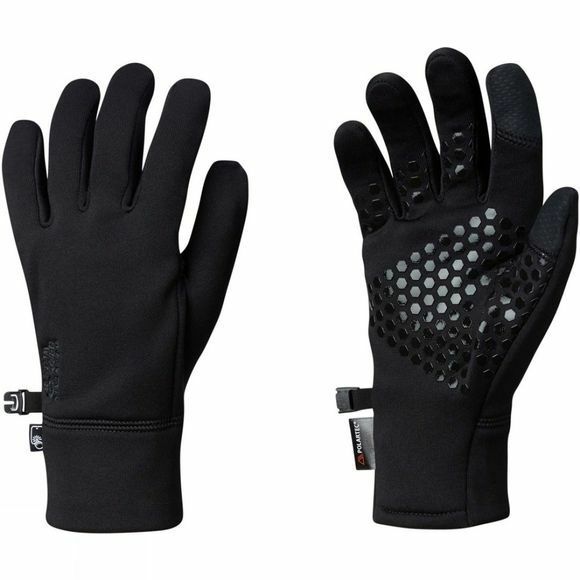 Makes a great liner glove or stand alone, thanks to the touchscreen-friendly Stimulus technology and strategically mapped silicone print for non-slip grip.